Mobile devices are now playing a significant role in helping people carry out various tasks in such a way that is quicker and simpler than usual without compromising the output’s quality and accuracy. Aside from calling and texting, important transactions like email processing are likewise already being done through mobile devices. These are the main reasons as to why most people would opt to secure a smartphone. For as long as network connectivity is available, they can check and respond to important emails at anytime, anywhere. Nevertheless, not everyone has the same positive experience with mobile email processing. Given the fact that active and stable network connectivity is required for email transactions to be completed, it is inevitable for anyone to experience random issues especially when network problems transpire. Among the most common symptoms would include error in sending or receiving email messages, emails are not syncing and Mail app not working as intended. Any of these can happen to any device including Apple’s new iPhone 7 Plus smartphone. If by any chance you came while searching for help in dealing with email issues on the same device, then this content is for you. You may consider this post a free reference to troubleshoot pertinent issues with mobile emails on your iPhone 7 Plus. What causes email problems to occur on your iPhone 7 Plus? 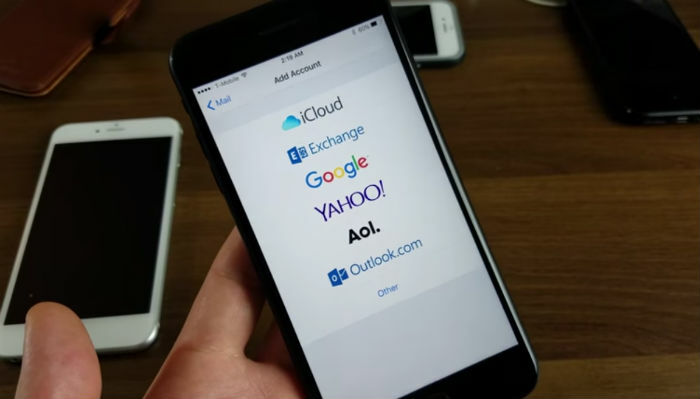 Many factors can affect the iPhone’s email functions. Aside from network connectivity issues, people may as well not be able to send or receive emails in their mobile devices due to random software glitches, incorrect email account setup, account issues and faulty hardware component. Below is an explanation as to why and how each of these factors can affect the iPhone’s Mail app functions and cause you troubles with mobile emails. Email services are among the first to get affected by network problems. Without an active or stable network connection, email services might as well not work as intended. Mail app won’t be able to sync emails properly as well as sending and receiving of emails. Network outages can happen anytime either scheduled or not. Affected services will resume once the outage is over. Random malfunctions are inevitable among mobile apps including the iPhone 7 Plus Mail application. These can happen due to many different reasons including corrupted files and contents, faulty updates, or erratic downloads to name a few. Minor apps or system malfunctions are usually get fixed by a soft reset. There are also some instances in which an app malfunction is tied to memory issues on the iPhone. Although this is likely not the case with new devices like the iPhone 7 Plus, it is still worth to consider this among the culprits. Improper configuration or use of incorrect server settings when setting up email accounts can also result to errors or problems with email on your new iPhone 7 Plus. Server settings vary between email services and email service providers. To ensure that you are using the correct server settings for your email account, contact your email service provider or network administrator beforehand. Some carriers would impose temporary disconnection to accounts with unsettled issues, particularly on billing. Usually, outgoing services are temporarily restricted. As a result, you won’t be able to make calls or send messages. Outgoing email services will also not be available until the account issue is resolved. Majority of email problems encountered by mobile device users are software-related. But there are also a few, which were oddly inflicted by a faulty component. This is usually the case for email issues that started to manifest after incidents of dropping or liquid exposure on the iPhone. Symptoms of physical or liquid damage can occur immediately after the incident or at a later time. Email problems that are hardware-related can only be resolved once the damaged component is fixed. And you will likely need a tech service for that to happen. How to deal with email problems on your iPhone 7 Plus? Is there any changes made to the device settings? If so, then what changes have been made to the iPhone system before email stopped working properly? If you couldn’t possibly determine the answers to the above questions, then you can just go for a trial-and-error troubleshooting approach instead. Below is a rundown of recommended workarounds and generic solutions to email problems affecting iOS mobile email services including the iPhone 7 Plus Mail app. Try any of these methods on your end and see which of them can get the problem fixed. Be sure to create a test email to see if email is already working fine after completing a method. Looking into the possible causes, network-related problems appeared to be the most common culprit. That being said, you should consider checking on it first. It could be that the network settings have been reconfigured incorrectly or simply not activated on the iPhone. If you are using Wi-Fi connectivity on your iPhone 7 Plus, be sure to check and ensure that Wi-Fi is active or turned on. Do the same with Cellular Data network, if you’re using it. To access and configure Wi-Fi network settings on your iPhone 7 Plus, head over to Settings-> Wifi-> then toggle the Wi-Fi switch to turn the feature off if necessary. Alternatively, you can go to the Control Center and tap the Wi-Fi icon to enable wireless connectivity feature of your iPhone. To access the control center, swipe up from the bottom of your home screen. If you are using Cellular Data or Cellular Network, check and ensure this feature is enabled on your iPhone. To do so, go to Settings-> Cellular Data-> toggle the switch to turn the feature on. Note: You may incur extra charges for using other services through Cellular Data. Contact your carrier to verify terms for Cellular Data usage charging. Minor issues affecting network connectivity services like email can also be resolved by rebooting the modem or router. The process is also referred to as power cycling. It is a highly recommended procedure used when troubleshooting network connectivity issues in a home network. It is applicable to either wireless or wired connections. Power off your modem or router and then unplug it from the power source. Leave it unplugged for at least 30 seconds. After the elapsed time, plug it back in and then turn it back on. Wait for the modem/router to complete the reboot process. After it reboots, restart your iPhone. Rebooting the modem or router from time to time is highly recommended to re-establish a fresh connection with the network server. After doing so, test your network connectivity by opening Safari browser and then try to connect to a website. If you can connect to a website, then email services should be working fine as well. But if you are unable to connect, you have to deal with network connectivity issue first so as to get your email services back up and running flawlessly. Mail app can also succumb into minor issues just like any other apps. Software malfunctions can happen randomly, resulting to errors while attempting to use certain applications. Consider this among the possible cause if you suddenly bumped into some troubles in sending or getting emails on your iPhone 7 Plus without making any changes to the iPhone settings. Double-press the Home button on your iPhone. Look for the Mail app preview when the multitasking view appears. Swipe the Mail app preview up and off the screen. Doing so will quit the Mail app. Press or tap the Home button. Tap the Mail icon to re-launch or re-open the app. Create a test mail to see if restarting the app has fixed the glitch and email is already working on your iPhone as intended. Press and hold the Sleep/Wake button for at least 10 seconds until the red slider appears. Drag the slider to power off the iPhone completely. After the elapsed time, press and hold the Sleep/Wake button until the Apple logo appears. Press and hold the Sleep/Wake (Power) button and the Volume Down button simultaneously for at least 10 seconds until the Apple logo appears. Wait for your iPhone to reboot completely. Once the reboot is complete, try to open the Mail or email app and create a test email to see if you can now send or receive emails without an issue. Using incorrect server settings is among the reasons as to why you are getting errors while attempting to use email services on your mobile device. Just like other iOS devices, your iPhone 7 Plus also uses the correct account settings for many email providers automatically by the time the email account is set up. But it doesn’t mean that what’s being shown in the respective fields are all correct. To make sure, you can go ahead and check the server settings for your email account by heading over to Settings-Mail-> Accounts. Tap to select your email account. Navigate to Account section and then tap your email address. Doing so will open the account information for incoming and outgoing servers. Check and ensure that these are the recommended settings for your email account. If you are not sure, you can use the Mail settings lookup tool and then make a comparison. Another thing to check is the port number. Please note that port number 25 only allows you to send email when you are connected to your email provider’s network. In case you don’t see the settings for your email account or don’t have an idea of which settings to use, contact your email provider or network administrator for work or corporate emails. While this may sound inconvenient, many iPhone users who have dealt with various email issues were able to obtain a fix by doing so. As the process implies, you will remove the problematic email account and then set it up again. Doing so will remove any flaws and correct all misconfigured email options. It’s time consuming but often yields positive outcome. Go to Settings-> Mail-> Accounts. Select the email account that you’re having problem with. Confirm action by tapping on the option to Delete from My iPhone. Tap the Mail icon. Doing so will open the Mail app. Select the email account type you want to create. If prompted, enter all necessary details including your name, email address and password, and account description. Follow the onscreen instructions that pop-up next. Make sure you have entered the correct information required. Considering everything is properly set and server settings are configured correctly, you should be routed to your Inbox after the email account setup. Messages will then automatically be downloaded from your webmail to your iPhone email app. Now, create a test mail to see if email sending and receiving functions are working. There are also some email errors that can be resolved by a specific solution. Two of the most common are subsequently highlighted along with the recommended solutions for you to try on if necessary. Tap Mailboxes in the upper-left corner. Tap Outboxes. If you do not see the email in the Outbox folder, then it means that your email was sent. Otherwise, tap an email in the Outbox, make sure the recipient’s email address is correct and then tap Send. As the error implies, the problem has something to do with incorrect password entry. To get rid of this error, just make sure you enter the correct password for the email account you are trying to access. You can try to access the email account through webmail. If you can sign into webmail using the same password, retry accessing the email account on your iPhone 7 Plus email app with the same password. In case you forgot your password, contact your email provider or carrier. They can do a password reset for your email account, if necessary. For accounts with two-step verification activated, a special password or authorization would be necessary to send and receive emails on the iPhone 7 Plus without errors. Update to the latest iOS version. This is recommended not only to optimize your device software but also to remove all possible bugs that might have caused errors on the iPhone’s email application. If you’ve done it already and you’re still having problems with the iPhone 7 Plus email service, contact Apple Support or your email service provider for further assistance and recommendations.